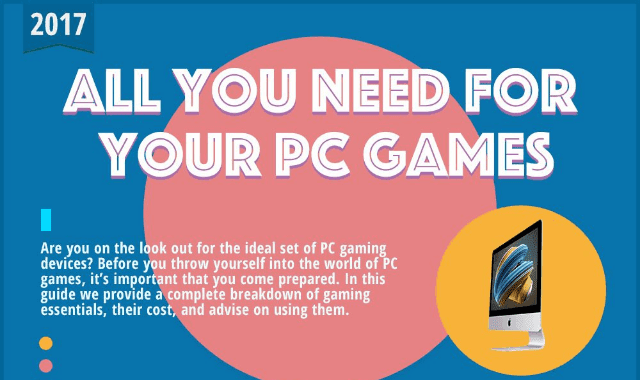 All You Need For Your PC Games #Infographic ~ Visualistan '+g+"
There are a lot of articles on the internet about how to build a gaming PC. However, most of those articles are focused on building the CPU, and thus their focus lies in performance alone. However, there is more to a gaming PC setup than just the CPU. You also need the right keyboard for it, the right mouse, computer chair, etc, if you want to enjoy a completely immersive gaming experience. As such, in this article on how to build a gaming PC, I’ll take you through the basics of how to assemble a cheap gaming PC setup.